Jorge Luis Vargas, Jr. obituary. Carnes Funeral Home. 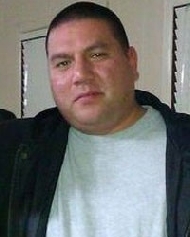 Jorge Luis Vargas Jr. was suddenly taken from us on Monday 11-21-11 along with his daughter, Miranda Marie Vargas. He is preceded in death by his Grandparents, Manuel and Juana Lujan; uncles , Carlos Lujan, Martin Lujan; and Aunt , Emma Lujan. He is survived by his sons, Jorge Luis Vargas III, and Dario Vargas; his mother and father, Marina and Jorge Luis Vargas Sr., his brothers, Carlos Vargas and Saul Vargas; sister in law, Candelaria Palacios; niece, Elissa; nephews, Saul Jr., and Raymond. His Grandparents, Cutberto and Beatriz Vargas; aunt , Mirtha and Lauro Gonzalez, aunt, Maria and Jesus Hi, aunt, Marissa and Juan Jose Gonzalez, uncle , Joel Vargas, aunt, Veronica and Pedro Navarro, aunt, Mabel and Herman Guzman, uncle, Benito Lujan, uncle, Ruben and Azucena Lujan, uncle, Miguel and Petra Lujan, uncle, Jaime and Maria Lujan, uncle, Juan and Elsa Lujan, aunt, Margarita and Domingo Reyes, uncle, Nicolas and Veronica Lujan and aunt, Patricia and Raul Vera and numerous cousins, family and. friends. Jorge was born April 13, 1978. He was a loving father, brother, son, cousin, friend, and was very dedicated to his children. He had a huge heart and loved to be around his family, especially his cousins to enjoy a great time. He will be greatly missed and forever loved. WE LOVE YOU JORGITO!!!!! Pallbearers will be Carlos Vargas, Saul Vargas, Hedson Lujan, Martin Lujan, Jaime Lujan, Daniel Lujan, Nicolas Lujan, Chuy Hi, and Juan Aguilar.